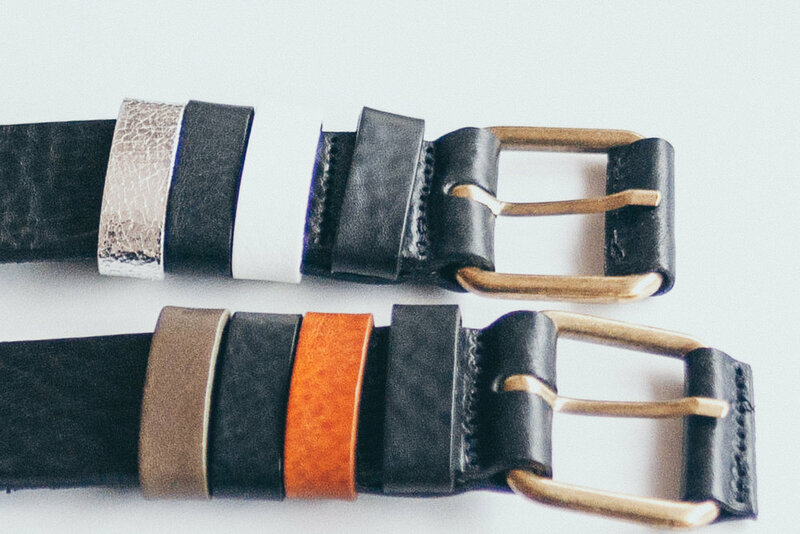 Each belt comes with loose straps that you can switch according to the colors of your outfit. You’ll always wear a belt that matches your clothes and accessories. You can buy additional straps to have even more options. An extra of the belts is that they have more holes than regular belts so that you can wear them in your waist or hips or anywhere in between. The collection consists of 1 model in 2 widths. Model Rome is 2 cm large and Model Oslo 4 cm.